After relocating to the Myrtle Beach area from Ohio, Becky decided to pursue her dream career in real estate. She has always had a passion for real estate and connecting with people. 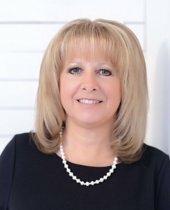 Becky has a strong business background combined with many years of experience in purchasing, selling, design, remodeling and flipping property. Becky lives in Carolina Forest with her partner, John, who is a neonatal intensivist at a local hospital here in Myrtle Beach. She has two children who are also in the medical field. Her son, Kyle, is a doctor in New York, and her daughter, Morgan, an ER nurse in Ohio. She strongly believes it is important to be knowledgeable of the real estate market and the constant changes taking place. She is dedicated to providing you with the information you need to accomplish your goals in the current real estate market. Weather you are looking to purchase your first home, are relocating to the Grand Strand, or are seeking to add to your real estate portfolio, Becky can help find the property that is right for you.